Imagine walking through a forest ecosystem like the one shown in Figure 1. Trees, shrubs, and small plants are everywhere. You see and hear squirrels, birds, and insects. You might notice a snake or mushrooms. Hundreds of species live in this forest. Now, imagine walking through a wheat field. You see only a few species—wheat plants, insects, and weeds. The forest contains more species than the wheat field does. The forest has a higher biological diversity, or biodiversity. Biodiversity refers to the variety of life in an ecosystem. Measuring Biodiversity The common measure of biodiversity is the number of species that live in an area. For example, a coral reef can be home to thousands of species including corals, fish, algae, sponges, crabs, and worms. A coral reef has greater biodiversity than the shallow waters that surround it. Before deep-sea exploration, scientists thought that few organisms could live in dark, deep-sea waters. Although the number of organisms living there is likely to be less than the number of organisms on a coral reef, we know that the species biodiversity of deep-sea waters is as great as that of a coral reef. 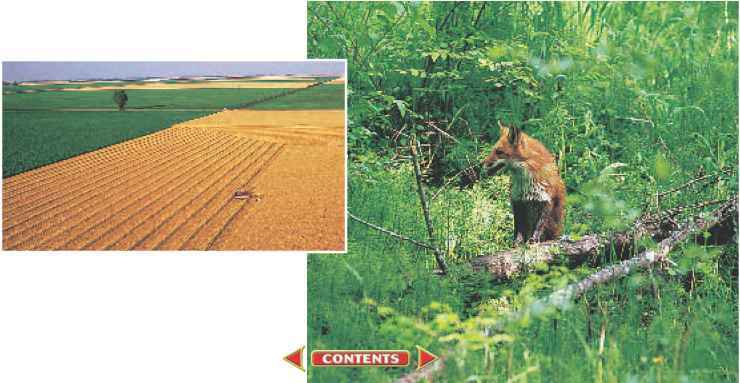 Figure 1 The forest has more species and is richer in biodiversity than a wheat field. (l)Andy Sacks/Stone/Getty Images, (r)Erwin and Peggy Bauer/Bruce Coleman, Inc. 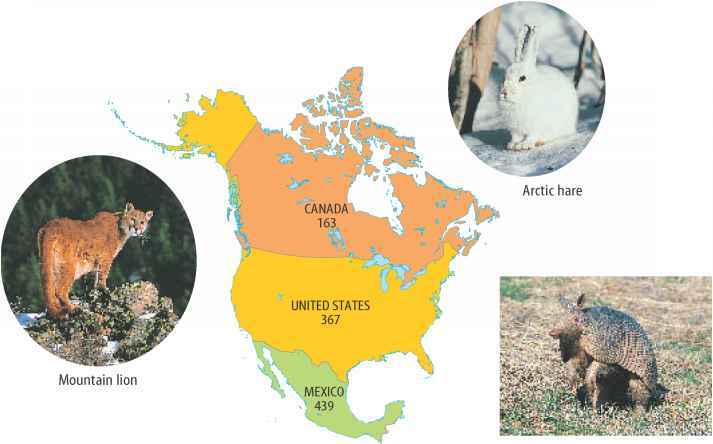 Figure 2 This map shows the number of mammal species found in three North American countries. In general, biodiversity increases as you get closer to the equator. Differences in Biodiversity Biodiversity tends to increase as you move toward the equator because temperatures tend to be warmer. For example, Costa Rica is a Central American country about the size of West Virginia. Yet it is home to as many bird species as there are in the United States and Canada combined. Figure 2 compares mammal biodiversity in three North American countries. 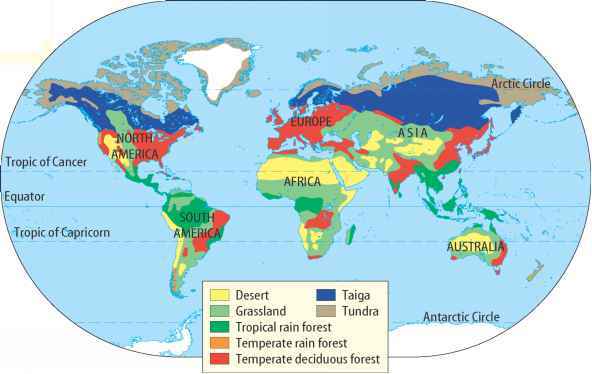 Ecosystems with the highest biodiversity usually have warm, moist climates. In fact, tropical regions contain two-thirds of all of Earth's land species. r--..T" ^ What kind of climate usually has a high r-Hirer [mi AT J biodiversity?